Recombinant Mouse anti insulin-like growth factor I is an E. coli-derived recombinant protein corresponding to full-length mature murine insulin-like growth factor 1 (IGF-1), a 70 amino acid peptide that is structurally and functionally related to insulin but with higher growth-promoting activities. Recombinant mouse IGF-1 has an ED50 of <2.0ng/ml as determined by a cell proliferation assay using FDC-P1 cells. Where this protein has not been tested for use in a particular technique this does not necessarily exclude its use in such procedures. Suggested working dilutions are given as a guide only.  It is recommended that the user titrates the antibody for use in their own system using appropriate positive/negative controls. PMP44 may be used as a standard in either an indirect ELISA with AAM30.